One thing that I've noticed over the past few years is that it seems like there is an increase in the amount of people who refuse to take responsibility for their actions. Instead they blame others when things don't go the way they had hoped, and they subscribe to a “victim mentality”, a psychology that says there are outside forces beyond your control that are causing you to fail, and there's nothing you can do about it. I think if we're honest with ourselves, many of the problems we're facing today can be traced back to people who don't take responsibility for their actions, and instead act like things are just happening to them. Much of the economic crisis we’re currently having can be placed squarely at the feet of people’s lack of responsibility. People are believing the lie that there is always someone else to blame (and someone else to depend on), and as a result when the time comes to make hard financial decisions, people are paralyzed. They feel powerless. We live in a consuming society where if we want something – we buy it. Never mind the consequences. If we want a big new house that is over our budget? Never mind, we'll buy it anyway – after all the bank gave us a loan so we must be able to afford it! If we walk away and default, it will be their fault for giving me the loan in the first place! I run up my credit card bills? It's the credit card company's fault when I can't pay because they allowed me to have the card in the first place! I lost my job? It's not my fault for having poor job performance, it's the economy's fault! I can't win – I'm a victim! Let's be honest, the government hasn't exactly encouraged people to take responsibility and not play the victim. They've actually encouraged a victim mentality by giving failing banks huge bailouts, allowing them to dodge the responsibility for their poor business practices. They've encouraged people to not find a job by continuously extending unemployment benefits for people who are out of work. They've dodged their own responsibility for many of the current fiscal crisis by shifting blame to Wall Street, big banks and mortgage companies. They never once allowed us to believe that because of their encouragement of irresponsible lending (sub-prime lending anyone? ), that much of this came about. The point is, if you're looking to the government for some encouragement in wise spending, responsibility and moving towards a life of debt freedom, you're going to be sorely disappointed. They will encourage you to live with a victim mentality, and tell you that there isn't much you can do to succeed. An article I read recently talks in depth about how the choices we make have consequences, and how so many of the great achievers in history have one thing in common – they took responsibility for their actions, whether the consequences were good or bad. They didn't allow themselves to be defined by the actions of others, or by the actions of their government. Instead they took responsibility for their successes and failures, and because of it they were able to live great lives. Sometimes it is only us that are responsible for the tough situations we find ourselves in. It isn't the failure of our family, our friends or our government. It is the direct result of the choices that we make. We ARE capable, and we need to stop making excuses. Are there situations where people legitimately are put in bad circumstances because of others – and are being victimized? Of course. But even in those situations you have a choice that you can make – to turn a bad situation into something good, or to allow yourself to become a victim, and to allow others to define you. What choices are you making in your life? Are they the ones that result in positive consequences? We can choose if we’ll reflect our environment, or if we'll affect our environment. We can choose to be happy, or not. We can choose how we react to hard times in our life, with positivity or negativity. We can choose to take responsibility for our actions, or blame others for our failures. We can choose to be a victor or take on the role of a victim. What steps are you taking to keep yourself free of becoming a victim? Have you allowed yourself to fall prey to a victim mentality? Has the relentless negativity in the news and in society caused you to start believing that you are a victim? What steps can we take to get ourselves out of the pit of victim-hood and despair, into the sunlight of responsibility and freedom? Tell me your thoughts in the comments! Although the U.S. government's ability to function is heavily dependent upon tax revenue, taxpayers are not completely forgotten about. In fact, the government offers taxpayers breaks for taking certain actions or making certain purchases that are good for themselves, the economy or the environment. One such break is a tax credit available to homeowners who make energy-saving home improvements and upgrades. Last December, President Obama signed the Tax Relief, Unemployment Insurance Reauthorization, and Job Creation Act of 2010, which extended numerous tax credits to both taxpaying individuals and businesses, including those making home energy improvements. Some of these home energy tax credits will continue to be allowed for the 2011 tax year and beyond, although most are lower than the last two years. Nevertheless, it is well worth the small effort needed to maintain any records so that you can claim these tax credits at the end of the year if you qualify. Last December, President Obama signed the Tax Relief, Unemployment Insurance Reauthorization, and Job Creation Act of 2010, which extended numerous tax credits to both taxpaying individuals and businesses, including those making green energy improvements. These credits will continue to be allowed for the 2011 tax year, although they are lower than the last two years at just $500 for the lifetime of the taxpayer. Despite this, however, it is well worth the small effort needed to maintain any records so that you can claim these tax credits at the end of the year if you qualify. Unlike a tax deduction, which only lowers your taxable income by the amount of the deduction, a tax credit – as its name suggests – is a credit toward the taxes that you owe. In other words, it is a dollar-for-dollar reduction in tax liabilities. For example, if you owe $1,200 and receive a $500 tax credit, you will only owe $700 on your tax bill. In some cases, tax credits may result in your receiving a refund under circumstances in which you may otherwise have owed money. Insulation – Typical bulk insulation products, such as batts, rolls, blow-in fibers, rigid boards, expanding spray and pour-in-place, as well as many products designed to air seal, such as weather stripping, caulk, house wrap and spray foam in a can, are included. Metal & Asphalt Roofing – Metal roofs are required to have appropriate pigmented coatings, asphalt roofs are required to have appropriate cooling granules, and installation costs are NOT included. Energy-Efficient Windows, Doors & Skylights – Also includes storm windows and doors. (Credits for windows are capped at $200). The $500 lifetime cap is a rather significant reduction from the $1,500 cap that existed previously. This means that if you have already received at least $500 total in energy tax credits through 2009 and 2010, you are no longer eligible to claim these tax credits. On the other hand, if you have only claimed a portion of the $500 threshold so far, you are still eligible to claim the remainder of it as long as you make qualified improvements before the end of this year. For example, if you have only used $300 in credits, you still have $200 left for 2011. Another major change to these energy tax credits this year is that it only extends to 10% of the cost – down from 2009 and 2010, when it was 30% of the cost – so you will need to spend $5,000 in order to receive the full $500 tax credit. However, if you are already planning to make some of these qualifying energy-efficient home improvements discussed above, it is in your best interest to make these changes before the end of 2011. If you are not already planning to upgrade at this time, you may want to consider how much money you will save long-term by upgrading to an energy-efficient appliance sooner rather than later. If you are eligible for the aforementioned energy tax credits, you must complete any qualifying home improvements before the end of this year in order to receive these tax credits as they will expire on December 31, 2011. It is important to be aware of the many rules and restrictions limiting what is eligible for the energy tax credit and how much you can claim. You will certainly not want to get to the end of the year thinking that you have tax credits, only to discover that you have purchased and installed ineligible systems. There are individual caps on many items. Fortunately, many residential energy tax credits will not expire till December 31st, 2016. These include geothermal heat pumps, small wind turbines and solar energy systems, as well as residential fuel cell and microturbine system installations. The first three aforementioned home improvement energy tax credits have no upper limit or cap and can get you a tax credit of up to 30% of the total cost (including installation costs). For residential fuel cell and microturbine system installations, you can obtain a tax credit for 30% of the total cost (including the installation) up to $500 per .5kW of power capacity. There are no individual caps. Keep your receipts and Manufacturer's Certification Statements in a special folder so that you can add them up at the end of the year. You must be very clear about which items you purchased during the year. Record your spending on IRS Form 5695 and submit it with your 2011 tax return. On IRS Form 1040, the residential energy tax credit is claimed on line 52. You can obtain more information, eligibility requirements and other details on qualifying products at both Alliance to Save Energy and ENERGY STAR. Or consult a tax professional to see how you may be able to benefit from the residential energy tax credit, as well as the many other tax breaks available. For you, as the taxpayer, making home improvements that save energy creates a win-win situation, where not only will you reap a short-term benefit by receiving the tax credit, but you will also enjoy the long-term advantage of saving a great deal of money on your energy bills. This guest post was provided by Manny Davis. His website contains a frequently updated tax blog with tax news, tax changes and tax saving tips, as well as detailed guides to help people through various tax related problems. One of the most insidious threats to your ability to build wealth in the long run is inflation. Inflation is a reduction in your buying power that can make retirement a bit difficult. Keeping your money in a savings account — especially with the low yields we see now — might mean that inflation causes you to lose money sitting in the bank. The same is true of bonds when they have low yields. However, some investors are uncomfortable with relying too much on stocks to help them beat inflation. If you want to add a little more stability to your portfolio while keeping pace with inflation, TIPS might be a workable solution. 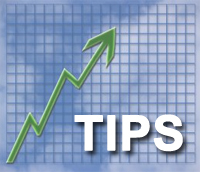 Treasury inflation-protected securities (TIPS) are bonds offered by the U.S. government. They are designed to keep pace with inflation, since the principal is adjusted at regular intervals to reflect changes in the Consumer Price Index. The face value is adjusted according to the CPI, and the yield is paid on that higher principal. Realize, though, that deflation can mean that your TIPS principal might be adjusted downward (although never below what you paid). Even with recent troubles, and talk of a possible credit downgrade, many still consider U.S. Treasuries the most reliable bonds in the world. The risk of default is always there, but it is generally considered a very low risk. Yields are generally lower than other Treasuries: Because of the principal adjustment, TIPS have lower yields. There are some instances that — even with inflation in the equation — you can do better overall looking into higher yielding bonds. You pay income taxes on TIPS adjustments: If you have a net increase in your TIPS principal over the course of the year, you have to pay income taxes on that amount, at your marginal tax rate. You won't receive the cash payout until your bond matures, but you still have to pay taxes on the income. Many people like to hold TIPS in tax-deferred accounts for this reason. Treasury Direct doesn't provide TIPS for IRAs: One of the reasons that people like TIPS is that you can get them from Treasury Direct without paying fees and commissions. However, the government doesn't offer this service for IRAs and Roth IRAs. In order to add TIPS to your IRA, you have to go through a broker. Some brokers will let you add TIPS to your IRA fee-free — but only if you purchase a minimum amount. CPI might not accurately reflect your personal inflation rate: A debate among economists and others rages about whether CPI is a “good” measure of inflation. In any case, TIPS won't protect you in the event of rising interest rates in other areas of life, and CPI might not accurately measure your own personal rate of inflation. Take this into consideration as you determine whether or not TIPS are a good inflation hedge in your particular situation. TIPS really can be a good addition to your portfolio. However, like all investments, you need to carefully consider how they would fit into your overall goals and financial plans. Investments are difficult enough without losing huge portions of your investments to taxes, and capital gains are no exception to taxes. Capital gains are the profits that come from investing in capital assets, such as stocks, bonds, or real estate. If the profit exceeds the purchase price, which is what we all hope for, then the difference between the higher selling price and the lower purchase price is considered a financial gain for the investor, which is subsequently taxed. 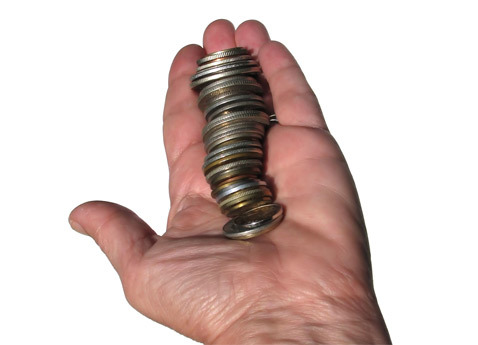 However, there are a few ways to get around paying large amounts of your investments. These are all legal, commonly used, and designed for investors to maximize their investment gain, without losing hard-earned funds to taxation. “The government always wants its portion, but donating is one of the ways around tax requirements,” said Charles Bulger from RetirementCalculator.com. If you bought stocks in the past for 2,000 and the stock is now worth 10,000, you can donate the shares to charity for a tax deduction of 10,000 without having to declare the 8,000 profit as a taxable gain in capital. This is a common device used by investors called a charitable gift trust, which is offered by brokerage firms. You are allowed to donate a block of appreciated stock over a period of years, and the stock is sold by the trust, not the investor. No capital gains tax is applied. If you’ve made some gains in your stock and you’re in a higher tax bracket, the appreciated stock is going to get hit with some hefty taxes at a higher rate. To bypass this tax, you can transfer the stock to a family member who ranks in a lower tax bracket. The gain would be placed on their tax return and, if the tax rate is low enough, they could end up having to pay much less than you would have. There are some drawbacks to this type of gift. Over 13,000 will eat into your lifetime gift and estate exclusion. Talk with your broker about this option, and see if it would work to your benefit. This option is for those who are not relying on investment for financial support. If you want to bypass paying any gain taxes, consider your stocks, bonds, and other investments as one portion of your will. Death is one extenuating circumstance around taxation. It sounds morbid, but it’s one way of keeping the government out of your investments. Your heirs never have to pay income tax on the appreciated value between the time of purchase and your death, which your investments in their entirety to the next generation. These are just a few of the many ways you can get around paying huge sums to the government. Forbes also has an article that goes into other ways that consumers can get around this form of taxation. As always, you should consult your broker and discuss in greater detail the usefulness of these types of actions. Looking into some of these options can save you a lot of money, and can help keep government hands out of your hard earned cash.